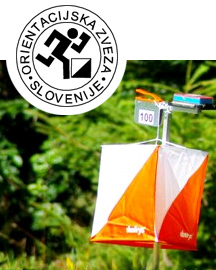 The third edition of the promotional orienteering karstic winter circuit is hereby called. It is made of five races, three of them taking place in the italian karst area, two of them in the slovenian one. For what concernes races taking place in Slovenia, the closest distancies to the one mentioned before will be considered. Manual punching (without sport ident) will be employed in the italian races. Score will be counted only for those athletes who will have duly finished the race. : 20 pts to the first , 17 to the second, 15 to the third, 13 to the fourth, 12 to the fifth, and so on until the 15th athlet arrived. From the 16th on, one point will be given. In case of draw, FISO rules will be observed, as done during the past edition. The ultimate result list will be drawn up considering the scores obtained by each athlet in four races out of five (the worst result will be deleted). At the end of each race the prize giving will take place according to the organizing society will. Prize giving to the winners of the complete circuit will take place after the race in Monfalcone, unless any inconvenience occurrs. For what concernes the three italian races, you are kindly raccomended to subscribe within every thursday preceding the race; for what concernes those taking place in Slovenia, please follow the suggestions given by each organizing society. If any doubt please contact me.